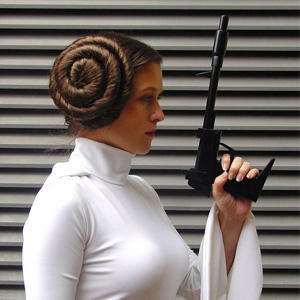 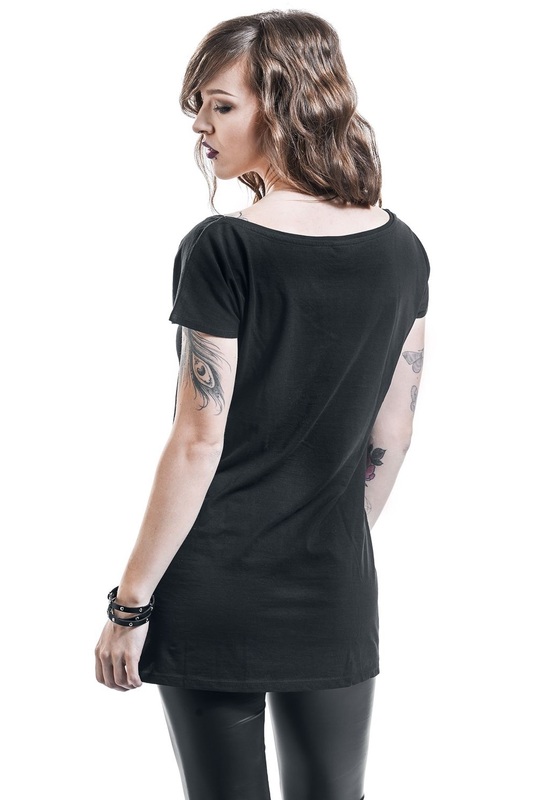 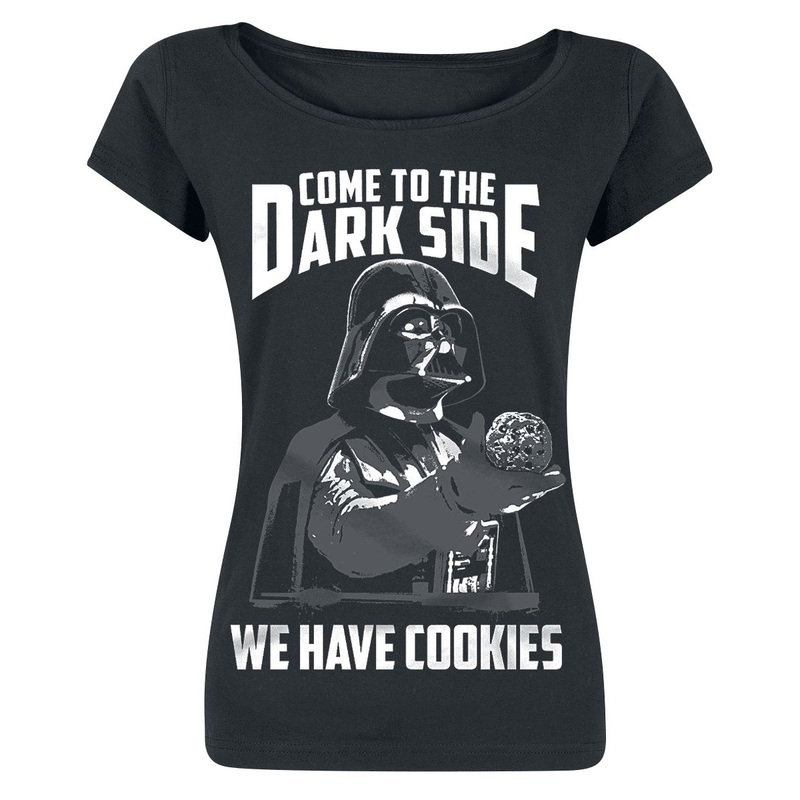 Show your Dark Side alignment with this fun women’s Star Wars t-shirt available at EMP Online. 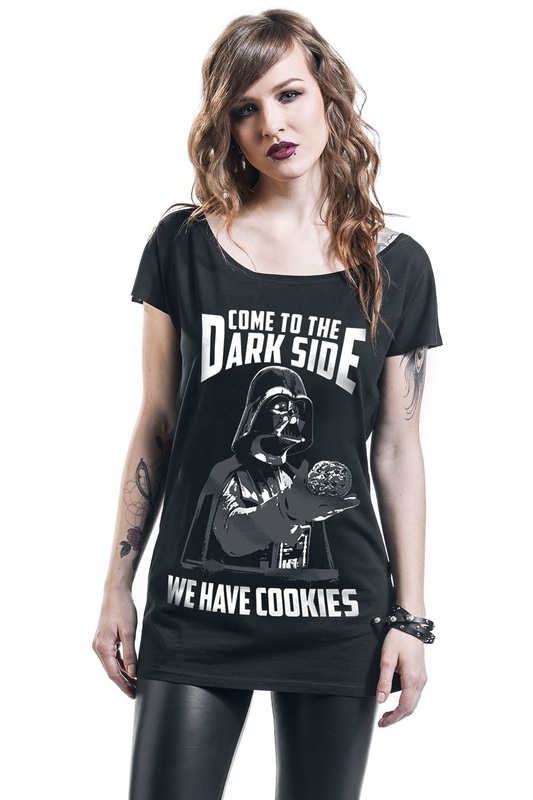 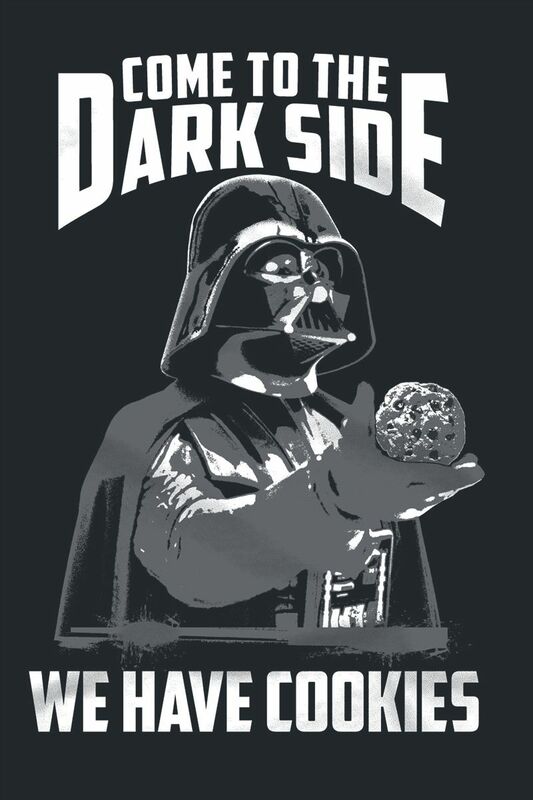 Made from 100% cotton, the black scoop-neck t-shirt features a front print of Darth Vader holding up a cookie, with the humorous text ‘Come To The Dark Side’ – ‘We Have Cookies’. 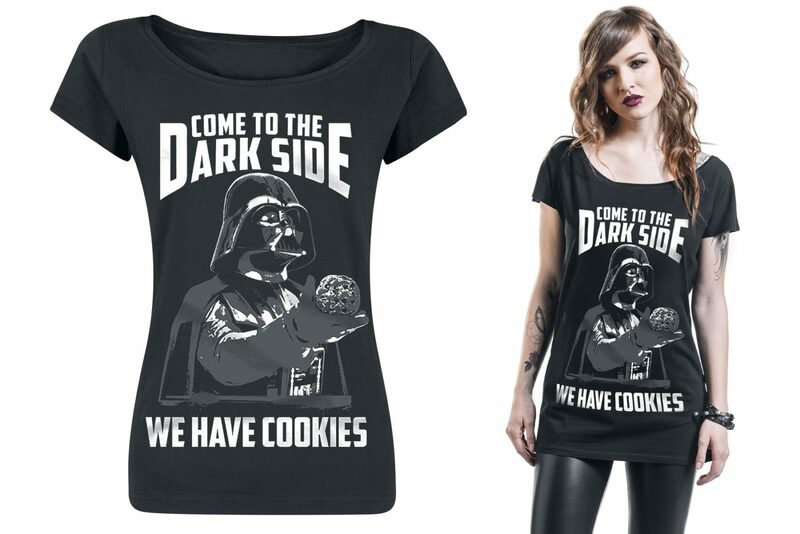 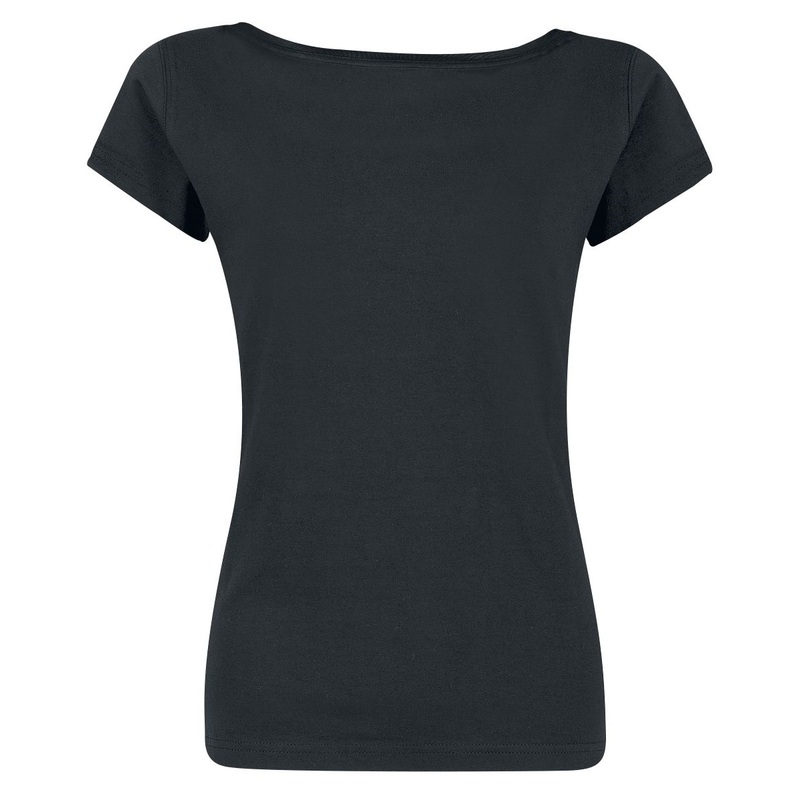 Available in sizes S to XL, the t-shirt is priced at €19.99 each (approximately US$22.74 each) – EMP Online can ship internationally.